Anemia is a common condition, particularly in young women and also in the geriatric population. Anemia is defined as hemoglobin (Hb) < 120g/L in women and Hb < 130 g/L in men. The Hb concentration can be low due to a reduced number of red blood cells (RBC)/ml or a reduced hemoglobin content of the RBC. This definition of anemia also includes the so-called pseudo anemia, where Hb concentration is lower due to an increase of the plasma volume like in pregnancy, cardiac heart failure and hyperproteinaemia. 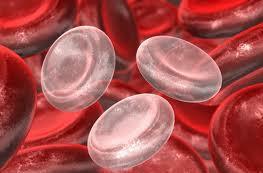 The causes of anemia can be either the loss or destruction of the RBC or a lower rate in the production of new RBC. The reason of destruction of RBC can be multiple: from inherited Hb disease like sickle cell or Beta-thallasemia to infection like Malaria. The cause of low rate in production is mostly due to deficiencies; iron deficiency is even the most frequent cause of anemia. A useful marker of this kind of anemia is the RBC volume (MCV), which indicates that there is either a nuclear maturation defect or an Hb synthesis defect. When the Hb concentration in the RBC is already achieved after a low numbers of cells division there is the productions of large RBC, macrocystosis while when the Hb content stay low, the RBC will divide more and this will lead to small RBC, microcytosis. Iron deficiency remains the most common cause of microcytotic anemia. Iron metabolism is regulated by the intestine absorption and the serum iron level. Iron deficiency is defined as low Fe serum level, elevated transferrin binding capacity and low Ferritin. Iron deficiency is frequently found in menstruating woman, patients with chronical blood loss, people who have Fe absorption problems or have an increase iron need like in pregnancy, breast feeding cancer. In the RBC formation two vitamins are necessary: folate (Vitamin B9) and Vitamin B12. Defiency on one of these vitamins will lead on long term to anemia which is characterized with macrocytosis. Vitamin B12 is a water soluble vitamin which is present in meat, eggs and dairy products. It is needed for the replication of DNA in the RBC productions, but it is also important to maintain the nervous system in good condition. A person has a Vitamin B12 deficiency when the serum Vitamin B12 is lower then. Normal people have a Vitamin B12 body store around 5 mg, which allow surviving 4-5 years without a supply of exogenous Vitamin B12. Vitamin B12 is absorbed in the intestine from animal products. Vitamin B12 deficiency can be caused by: autoimmune gastritis (pernicious anemia), gastrectomy, a poor diet of animal products or dairy products, mal absorption and drugs. A special form of Vitamin B12 deficiency is pernicious anemia or Biemer anemia, an autoimmune disease, where autoantibodies are produced against intrinsic factor, which is needed for the absorption of Vitamin B12. Vitamin B12 is needed in two important biochemical pathways: Vitamin B12 is required together with folate for the synthesis of methionine and for the synthesis of succinul CoA. Folate is also a water soluble vitamin but folate is present in leaves cereals and bread. Folate is not biological active but become active after its conversion to tetrahydrofolate in the liver. Folate is needed for the replication and the stabilization of DNA. In this reaction also vit B12 is needed. The morphological and hematological characteristics of vit B12 and folate deficiency are similar, however the main differences are that folate reserve is normally sufficient for 3 to 4 months, while vit B12 reserve can last up to 5 years. There are no neurologic signs with folate deficiencies. The main cause of folate deficiencies are drugs, ethanol abuse, inadequate dietary intake, malabsorption or higher folate needs due to pregnancy, cancer or inflammation. Red cell folate, as the serum folate will give an indication of the actual folate status the RBC folate will give an indication of the average folate concentration over the last 3 months as the concentration of the folate in the RBC will not be changed after the maturation of the cells. Ferritin is the major iron storage in the body protein. Blood levels of ferritin serves as an indicator of the amount of iron stored in the body. High ferritin levels can be an indication of an iron storage disorder like liver disease, hemoglobinopathy or some types of cancer. Low levels of ferritin are seen in iron deficiency.